While standing out in the memories of most as being "the director of Citizen Kane," Orson Welles was a polymath and a practitioner of all mass media. As a filmmaker, Welles had a very keen visual sense, but he is also well-known for his deep and booming voice. This made him a natural for radio. He entered the medium relatively early in a career that had been, at that point, one centered around drama. He'd established a theatre troupe called The Mercury Theatre, and before long he decided to expand this to an iteration for radio called Mercury Theatre on the Air. This 1938 series mostly adapted classic and contemporary dramatic works, but it was also the show on which the "War of the Worlds" blowup occurred. The attention from that got new sponsorship and a new iteration of the program, Campbell Playhouse. This series adapted such works as "Our Town," "The Count of Monte Cristo," "The Magnificent Ambersons" and "Mutiny on the Bounty," and ran from December of '38 to March of '40. During the late 30's and early 40's, even though Welles was not a big film star, and hadn't yet become famous as the director of Kane his talent and iconic voice were recognized enough for him to be asked to make appearances on The Fred Allen Show and The Charlie McCarthy Show. Other radio series Welles masterminded were Black Museum, This is My Best, Orson Welles' Almanac, and Ceiling Unlimited. He was born on this day in 1915. 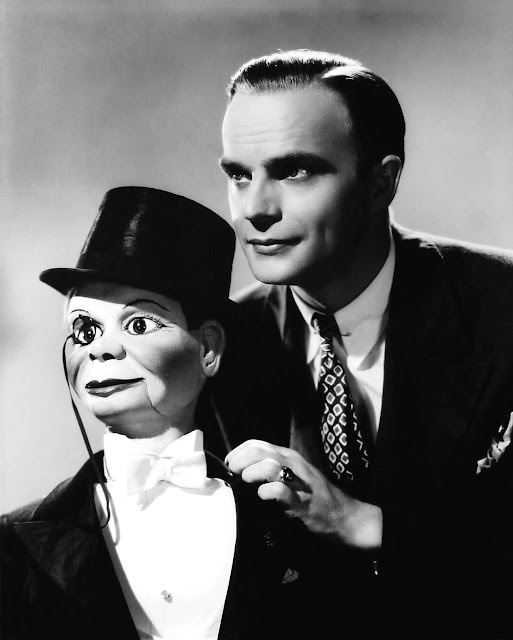 Where would Charlie McCarthy have been without Edgar Bergen? Edgar Bergen was one of the biggest legends of radio along with his ventriloquist's dummy, Charlie McCarthy. They weren't the first performers who got their radio start as guests on Rudy Vallee's show. For them it was Dec. 17, 1936. It quickly landed them their own show. Wait a minute. A ventriloquist on the radio? You can't see the dummy! The utter improbability of the act makes their accomplishment even more stunning. For the duo became just about the biggest stars on the air and they had big stars on guests as their show. Incidentally, on the night of the infamous War of the Worlds broadcast of Orson Welles, which caused a panic over a supposed Martian invasion, Bergen and McCarthy were also on the air. If they'd had less listeners, the panic may have been much bigger. Happy birthday, Edgar!